BMW has been hosting its trademark golfing competition around the world for some time now. Last week the BMW International Open took place at Gut Lärchenhof in Germany, for the fourth time. This time around, BMW handed over the keys for a beautiful car to one lucky golfer, as he won the BMW Hole-in-One Award. 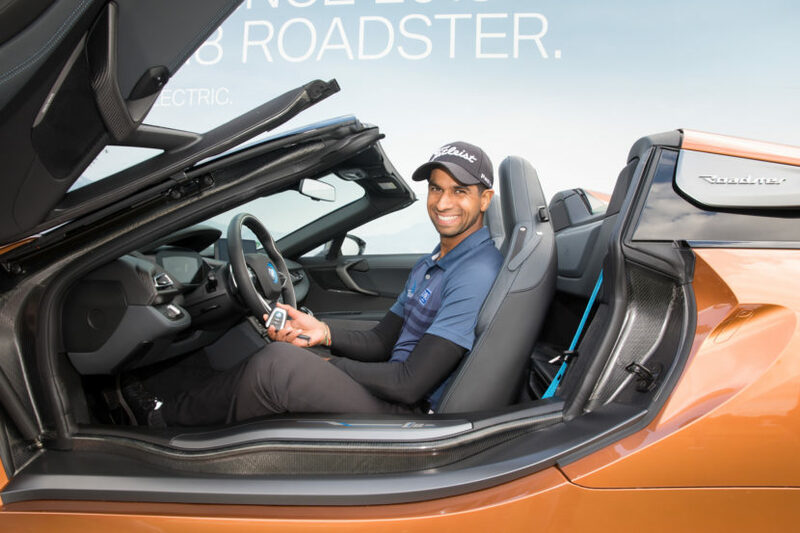 Similar to the award handed to the fastest rider in the MotoGP qualifying rounds, this award goes to the person who manages a hole in one hit and this time it was English golfer Aaron Rai who managed the feat and won a BMW i8 Roadster. During the second round Aaron Rai put his all in his hits and on the 16th hole he managed the spectacular feat over a distance of 167 yards. 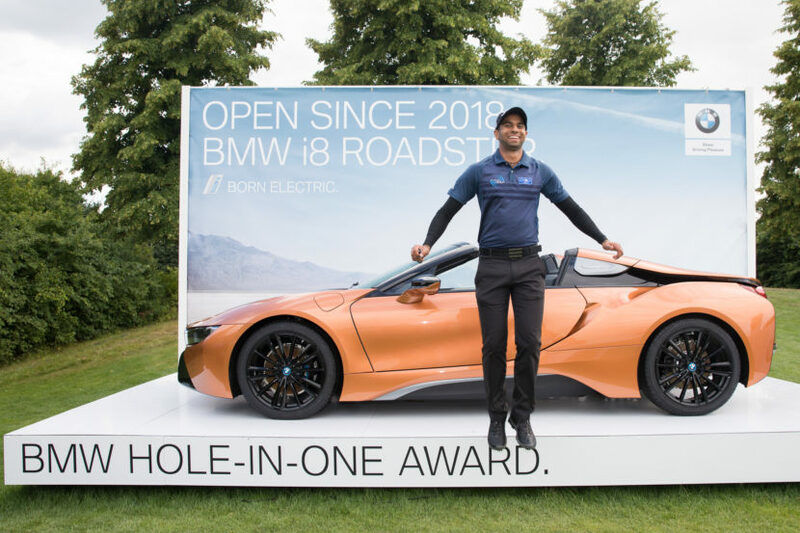 The 30th BMW International Open was the lucky one for the Brit and Peter van Binsbergen, Senior Vice President Sales and Marketing BMW Germany was on set to present the golfer’s new BMW i8 Roadster. This is not a premiere as the award was won by other golfers before, but this is the first time the i8 Roadster was put up for grabs. When the BMW International Open made its debut in Cologne in 2012, Englishman Andrew Marshall was the recipient of a BMW 640i Gran Coupé. Two years later, his compatriot James Heath hit a dream shot to win a BMW i8. Scotland’s Richie Ramsay was the third player to leave Gut Lärchenhof in another spectacular car: the BMW M760Li xDrive. Aaron Rai therefore becomes the fourth golfer to win a car with a hole in one. Even though the BMW International Open is hosted by a number of golf courses, the Gut Larchenhof is the only one where this award was ever handed out. Being won only four times so far, all of the lucky shots were taken on this course which will probably make golfers more interested in BMW’s International Open, especially if it’s going to be hosted here.